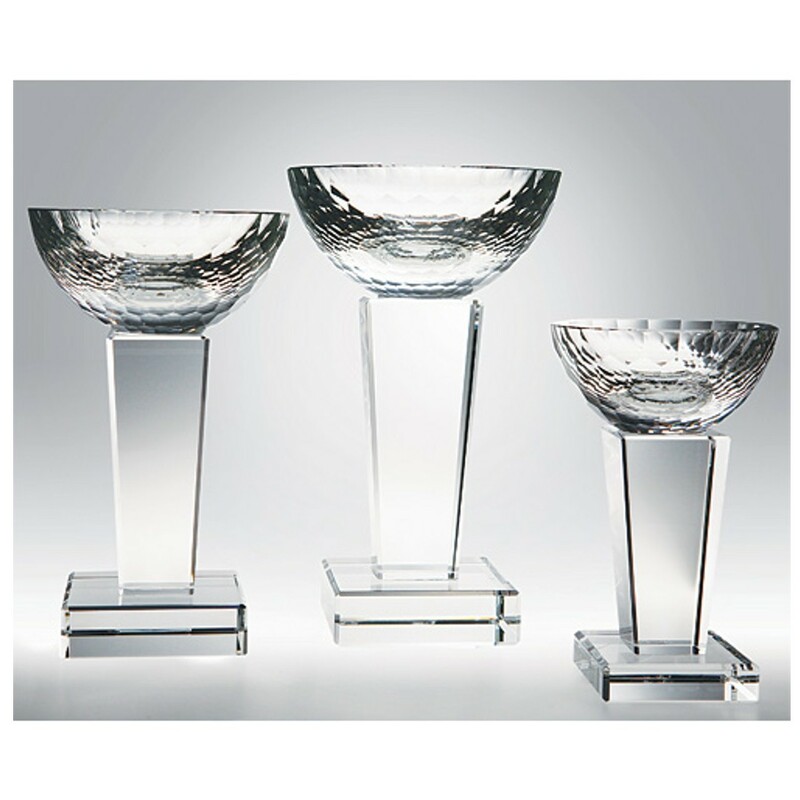 The Crystal Bowl and Stand Award makes a classic and elegant achievement award for dedicated members of your company. Featuring a solid crystal bowl attached to a sleek pedestal, this clear, optical crystal award includes six lines of frosted engraving in the price. In your choice of three sizes, this classic crystal trophy makes a beautiful corporate award or sports championship trophy!